When 14 undergraduate students in Biola’s Cinema and Media Arts (CMA) program went to Tokyo, Japan, over the 2009 interterm to make a film for class credit, few of them probably expected that nine months later they’d be in Venice, Italy, screening the finished product at one of the world’s most prestigious film festivals. 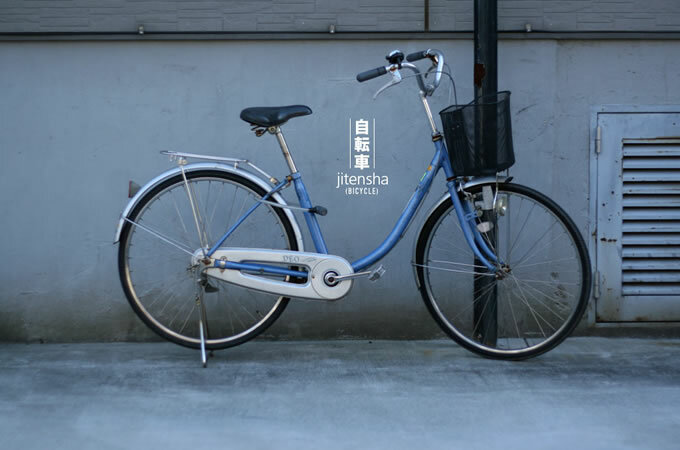 But that’s exactly what happened when Jitensha (Bicycle) was selected by the Venice Film Festival to be among the 27 short films — out of more than 1,300 submissions — screened last September. But for Jitensha, that was just the beginning of a long string of festival awards and honors that have collectively surpassed anyone’s expectations and firmly established Biola as a university with an international reputation for high quality filmmaking. Since Venice, Jitensha has been screened at more than a dozen film festivals all over the country and world, such as the Heartland Film Festival — where it won for best short film and received a Crystal Heart award — the Imago Film Festival (best of show), Brussels Short Film Festival (youth jury prize), and the Los Angeles Asian Pacific Film Festival (best short film). One of the film’s most noteworthy awards came at the 2010 Broadcast Education Association (BEA) Festival of Media Arts, where Jitensha won the best overall faculty video award and the “Faculty Chair’s Award” for professor Dean Yamada, who directed the film and organized the class. The film, which Orlando Sentinel film critic Roger Moore describes as “warm and charming, with a mystique that is uniquely Japanese,” is about a man in Tokyo who — after his bike gets stolen piece by piece — receives a letter in the mail with addresses for where he can collect the missing pieces. The reassembling of his bicycle becomes a journey of personal healing as well, as a higher power helps repair the broken pieces of the man’s life. The process of creating Jitensha followed the model set by Mujo No Kaze, the short film shot in Japan during the 2007 interterm. Like Kaze, Jitensha involved a select group of students in a yearlong filmmaking experience: a pre-production class in the fall semester, production during interterm and post-production in the spring semester. Yamada directs the projects, which are set up to happen every two years. A new class of students will return to Japan this January to shoot a new film, potentially in the mountainous areas outside of Tokyo. Senior Jadon Gauthier, who produced Jitensha, said the experience of making a film in Japan was definitely outside his comfort zone, but in a good way. 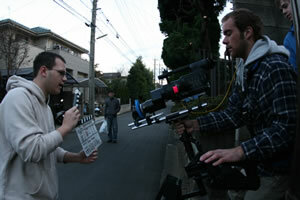 Along with the “Biola Sundance” program, the unique Japan film trip program has helped establish Biola’s CMA program as a premier collegiate film program with a rising expertise in filmmaking abroad. In June, Yamada and his wife took 12 students to Berlin for two weeks to shoot a new film about a Vietnamese immigrant in Berlin. Future overseas filmmaking projects are also being talked about for places like Indonesia and Australia. In the meantime, Yamada continues to make the rounds on the festival circuit with Jitensha — including an upcoming trip to Hawaii for the Hawaii International Film Festival — with the ultimate hope of being the first Biola-produced film to qualify for the Academy Awards.